Our attorney, Kevin McManus, was pleased to sponsor and attend the recent We Care KC Luncheon in downtown Kansas City held on behalf of KC CARE Health Center. 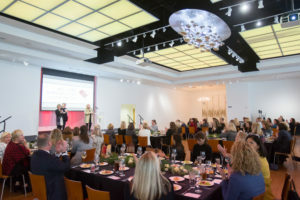 The luncheon was held to raise funds and awareness of KC CARE Health Center and was attended by several hundred supporters. KC CARE offers quality, affordable, integrated health services to everyone in the community with the promise of dignity and personalized care. Its mission is to promote health and wellness by providing quality care, access, research, and education to the underserved and all people in our community. You can find out more about KC CARE and support its mission by going to www.kccare.org.